The title of Catherine Kerrison’s new book, “Jefferson’s Daughters,’’ hints at a promise American history couldn’t keep: the union of all three of Thomas Jefferson’s daughters as equal members of the family. But the Villanova University historian’s triple biography of the architect of the Declaration of Independence’s two white daughters by his wife, Martha Wayles Skelton Jefferson, and his biracial daughter by his biracial slave, Sally Hemings, also explores the darkly tangled relationships of the period (Hemings, who came from the Wayles household, and Martha Jefferson were half sisters) as well as the limited options and constraints faced by all women. In the early chapters we are transported to Paris where the recently widowed Jefferson served as the American trade minister from 1784-1789. 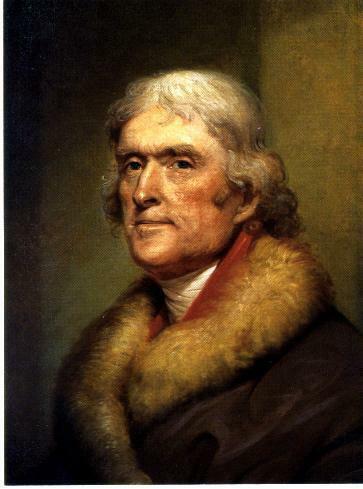 Although Jefferson believed that “[s]ociety was spoilt” by the participation of women in public life, he nevertheless provided Martha and Maria, the only two of their mother’s six children to survive beyond early childhood, with a sophisticated education unavailable to them in Virginia. The two received lessons in French and Latin and socialized with the brightest minds of the French Enlightenment. They were accompanied by a 16-year-old slave, Sally Hemings. The time the three young women spent in Paris was probably the best of their lives. For Martha and Maria, the cosmopolitan and intellectually engaging life they enjoyed there would fade into memory once they returned to Virginia and became mothers and mistresses of rural plantations. For Hemings, life abroad must’ve seemed a world apart. She considered staying in France, which had abolished slavery, to claim her freedom. But once she became pregnant with the first of the six children she would have with Jefferson she agreed to return to Monticello as a slave on the condition that her — their — children would be freed at 21. Returning to Virginia in 1789, 17-year-old Martha despaired at her prospects in rural society. About a year later she married Thomas Mann Randolph Jr., a planter and distant relative, and resolved to devote her life to her children’s education, an idea that shocked her Parisian friends. “Have you become reasonable?” one friend who admired Martha’s bold personality wrote to her. “I can’t see you a mother of a family.” She didn’t have much choice. By age 36 she was the mother of seven. Eleven-year-old Maria was happy to come home. She completed her education in Philadelphia and at age 17 married her first cousin, John Wayles Eppes. After several miscarriages she gave birth to three children, only one of whom survived past the age of two. Maria died of complications from the last birth at the age of 25. After Maria’s death her husband fathered several children with his slave Betsy Hemmings, Sally Hemings’ cousin. What we know of the lives of Martha and Maria comes from their own correspondence and the legal record. The prominence of the Jefferson family ensured that their lives would be more heavily documented than most of their female contemporaries. This was not the case with their half-sister Harriet Hemings. The historical record offers little about her early life. Harriet spent her childhood at Monticello where she lived with her mother under conditions that likely would’ve been the envy of most other slaves. But once she left home at 21, she never made contact with her parents again — it was too great a risk, since Jefferson never furnished her with official manumission papers. Kerrison speculates that she almost certainly changed her name. We do know that, like all her surviving siblings but one, when she left Monticello she lived the rest of her life as white, according to a newspaper interview given by her brother Madison, the only sibling who continued to self-identify as black. He also noted that Harriet married a white man of means in Washington. Kerrison goes to admirable lengths to uncover the events and texture of the Hemingses lives, attempting to fill in blanks with careful supposition based on what is known of the everyday lives of enslaved and free blacks in the period. But ultimately the thoughts and feelings of Sally and Harriet can only be imagined. While his relationship with Sally was an open secret, Jefferson went to great lengths to obscure it to posterity, never leaving any paper record. When Jefferson wrote “all men are created equal,” his daughters knew that was exactly what he meant: all men, at least all white men. His white daughters understood their educations would be wasted amid the constricted realities of their lives as mothers and wives. His slave daughter knew her only chance of achieving anything even remotely like their comfort involved estranging herself from her parents. Kerrison’s book is a valuable addition to the history of Revolutionary-era America as well as a reminder of how many of its promises have yet to be fulfilled.